A chance meeting and subsequent trip to Awesome Games Done Quick 2015 resulted in two college students forming a speedrunning duo that’s still setting world records. 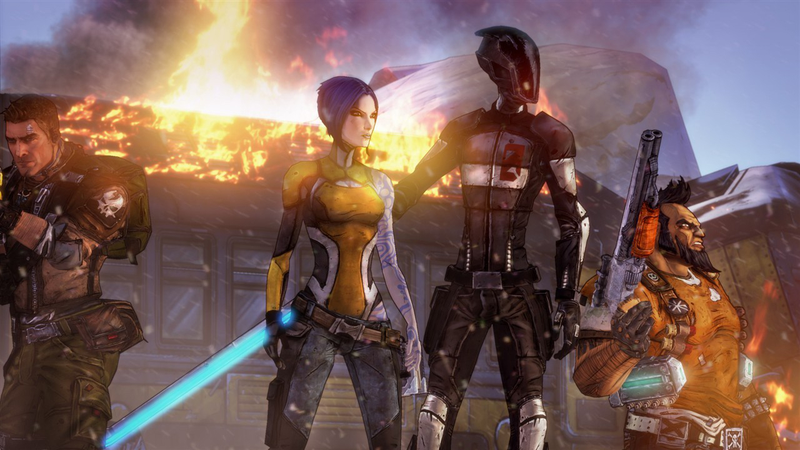 Speedrunners Amyrlinn and Shockwve know Borderlands 2 intimately. It would be a cliche to say they know Gearbox’s shooter better than the backs of their own hands, but they actually probably know it better. Since the game came out they’ve dominated its speedrunning leaderboard across more than 10 different categories. Unlike most popular speedrunning games, however, many of their records are in the cooperative mode. They can currently complete the entire campaign in just shy of 90 minutes, including load times. “We actually started running Borderlands2 because we were waiting for A Hat In Time to come out,” Amyrlinn said in an email. “We both ran the beta of that game, and there was about a year and a half between when we stopped running and the game’s release, so we randomly picked Borderlands 2 to tide us over and just so happened to actually be pretty good at it.” The top single-player spot is held by a runner called TheFuncannon, but look at any of the co-op categories and you’ll see either Amyrlinn or Shockwyve’s name (or more likely both) at the top. “In that the game and speedrun, in my opinion, is more fun with more people,” said Amyrlinn. That doesn’t mean it’s always easier though. While working with a teammate makes runs go quicker due in part to the extra firepower, it also presents new challenges. Usually speedrunners only have to contend with the codified quirks of a game they’ve memorized, but for a cooperative run there’s another player to worry about and thus myriad more variables to be aware of (even more so when they do larger team runs alongside the likes of TheFuncannon and others). “The hardest thing about coordinating with another player is sometimes we use different terminology to refer to things and that can trip us up sometimes when we’re trying to figure out what we haven’t done yet,” Amyrlinn said. The idea is to multi-task, and everything from trying to stack critical hits on bosses to simply one-shotting regular enemies as quickly as possible requires they don’t duplicate their efforts or get in one another’s way. Of course, part of what gives them an advantage is the fact that they live together in an apartment outside of Philadelphia where both of them are no in the tech industry as software engineers. In addition to getting comfortable with using glitches to duplicate guns and also constantly dropping them on the ground and picking them back up (on PC this reloads weapons quicker than going through the actual animation), the major challenge for Borderlands 2 runs is getting generous equipment and resource drops from enemies. If those don’t materialize they can be the death of another otherwise promising run. Working alongside trusted friends who have come to know each other as well as the game itself, however, opens up more room for improvising and rolling with these bad RNG punches. “We keep coming back because it’s a fun run and the strategy changes every run,” Amyrlinn said. “Sometimes we get lucky with gun RNG, sometimes we don’t, and it’s fun to try and make that work.” Their most recent shared record brought the time for an All Quests Co-Op run down below the 2:50:00 mark, over half an hour better than their time in the category last year. The next challenge is to return to the first game and see if they can’t do it all over again. 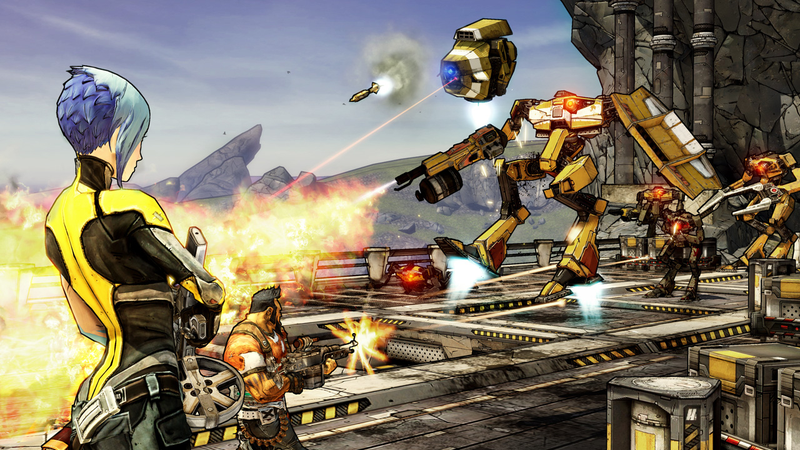 Although they currently hold the co-op record for Borderlands Pre-Sequel, Borderlands 1 remains uncharted territory. Given the duo’s past success though it’s unlikely anyone will be able to hold them out of the top spots for long.